Graduate in Three Years Instead of Four! The Accelerated Baccalaureate Program – known fondly around campus as the “Acc Bacc,” is a unique program that allows you to earn your bachelor’s degree in just three years, saving you a year’s worth of tuition and other college expenses. The Acc Bacc program actually reduces the number of credits required for graduation by taking into account your high school work. 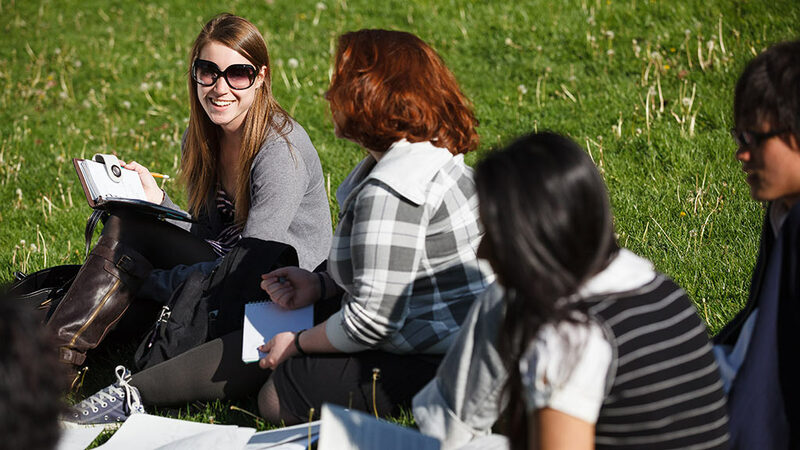 With fewer credits to take, Acc Bacc students enjoy a regular course load and plenty of time to participate in the extraordinary extracurricular opportunities available at SOU and in the greater community. 1) They have already decided upon their major when they enter college. 2) They seek to complete college sooner rather than later. Please note that the Acc Bacc is not a program for transfer students – if you’re transferring too many credits, our credit reductions would not be to your benefit. Your chosen major must be offered by a participating academic department. You may also choose to complete a minor or certificate program while pursuing your undergraduate degree to support your career goals. Your minor can be from any department on campus. Upon graduation, a fully recognized bachelor’s degree! Before applying for the Accelerated Baccalaureate Program, you must first apply and be admitted to SOU. Please visit the SOU Admissions Apply Section for further information on applying for admission to the University. Cumulative high school GPA of 3.2 and composite ACT score of 25 with scores of at least 22 on both math and English sections. Please download our Application Guidelines for complete information on applying for the Acc Bacc program. You will also need to download the Application Form and the Recommendation Form as your prepare your application materials. You are welcome to submit your application materials in stages. When your file is complete, faculty members will review your application materials to evaluate your suitability for the program and determine the appropriate general education reductions.